Foaming : Our dedicated team of foamers work relentlessly to produce high quality of foam under stringent quality measures that control the foam rise profile, yield, porosity and the desired physical properties. 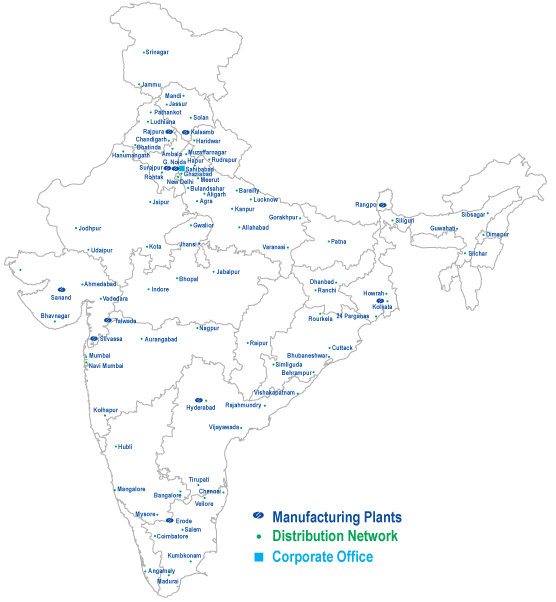 Equipped with state-of-the-art Hennecke QFM machine, we produce PU Foam in five locations across India. Our process function is equipped with advanced foam cutting, peeling, profiling and foam compression machines. Round the clock processing strengthens our serviceability and product delivery thereby giving us a competitive edge and a large number of satisfied customers. Moulded Polyurethane Foaming : Sheela group has a joint venture with Woodbridge Group, Canada under the name Sheela Woodbridge Urethane Pvt. Ltd (JV). The JV offers innovative moulded polyurethane foam technologies and products for the specific requirements of the automotive and commercial vehicle industry in India. As a leader in the PU Foam industry, Sheela Group has a wide range of innovative product range offering technologically advanced consumer products that stand for a perfect blend of comfort and support. Sheela Group also caters to various industrial applications e.g Automotive Industries, Sound Industry, Garment & Shoe industry with innovative PU Foam like Fire Retardant Foam, Reticulated Foam, Sound Absorption Foam used in GEN Sets etc. With more than 1500 employees, 12 manufacturing facilities, a nationwide network of over 100 distributors & 5000 dealers and export relations with 25 countries, the name Sheela Foam and its brands have become synonymous with quality, comfort, good sleep and top- of- the- line technical applications. To manage Sheela Foam's International Marketing operations, a dedicated export division is in place to manage a network of international distributors & OEM customers. Our products are exported to all major continents like Middle East, Asia, Europe, Australia, North and South America. With a wide variety of state-of-the-art hi-tech products and our commitment to customer satisfaction, Sheela Foam has a dedicated Customer Care cell. The Sheela Group Customer Care is dedicated to ensure quality of service, updating and educating customers on our latest technologies for their specific needs. Sheela Foam in-house IT function is the proud owner of the award winning "Great Plus" real time communication platform. This electronic business decision making model optimizes our capability of servicing our markets by connecting all our manufacturing units and all our Tier 1 and Tier 2 channel partners and is a major strength of the Sheela Group.